This series of three Countertechnique classes, plus an introduction to the Toolbox, gives NYC dancers a chance to experience this movement system. 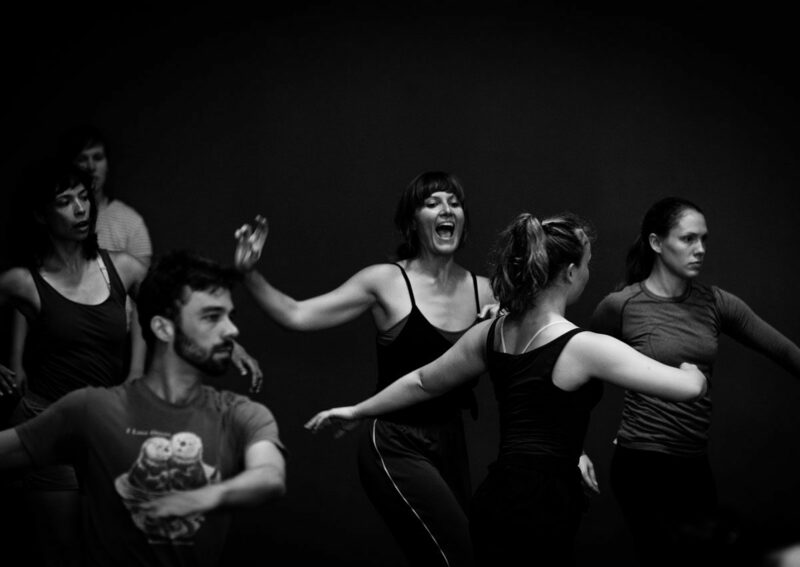 Countertechnique helps the dancer think about the dancing body by focusing on the process of incorporating information into the action of directing and counter-directing the body through space. Countertechnique is a system of movement designed for dancers to activate self-direction and to become more available to movement while learning to take risks. Developed over the past 20 years by Dutch choreographer, Anouk Van Dijk, the technique provides tools for body and mind to deal with the demanding dance practice of the 21st century. Joy Davis is a dance artist and educator steeped in the practices of Countertechnique and improvisation. She began studying Countertechnique with founder Anouk van Dijk in 2005 and became one of four Americans certified as Teachers in 2012. She teaches all over the US including workshops at Gibney Dance, Seattle Festival of Dance Improvisation, Lion’s Jaw Dance + Performance Festival in Boston, the American Dance Festival, and will join the faculty of van Dijk’s annual One Body One Career intensive hosted by Springboard Danse Montréal in July 2019. Her initiative joyproject produces collaborative dance theater performance which evokes contemplation, humor, and elegant design since 2006. She was a Chicago Dancemakers Forum Greenhouse Artist, Choreographic Resident at the Workspace for Choreographers, Choreographer’s Lab Artist with New Dialect (Nashville), NeXt Choreographer for Urbanity Dance (Boston), Baran Dance (Charlotte), forthcoming Dance NOW Boston choregrapher; and recently awarded the Next Steps grant from The Boston Foundation. She currently collaborates with Mountain Empire Dance Collective, with their resent performance at the Kennedy Center; School for Contemporary Dance and Thought with a new creation on their youth company Hatchery; and Eric Mullis, with upcoming performances in Japan and San Francisco. Joy and Alexander Davis, The Davis Sisters, were recently awarded a 2018 Schonberg [Boston] Fellowship and Offshore Creation Residency at The Yard to develop and premiere their new work Junk Drawer; and were recently named inaugural Choreography Residency recipients at Boston’s Museum of Fine Arts exhibition of Henri de-Toulouse Lautrec. Joy received an MFA in Choreography and Performance from Smith College, and has since taught as visiting faculty at Smith College, Wesleyan University and Harvard University. Joy is an Associate Professor of dance at Boston Conservatory at Berklee.